So after dipping my toes back into the water of guitar buying with the black Jazzmaster that I got from HNB, the thirst has reawakened and now I want all the guitars. 5) Guys like Westfield, FretKing etc. If you were going to buy a SG stylee, what's would you get? I was also going to mention the PRS vintage-y looking ones, but I feel they are probably more equatable to a Les Paul IRL. The Mira and the wassamacallit.. you know the ones. I have had a lot of SGs, and can confirm that the Gibson SG Classic is the best SG you can get. If you're counting the Yamaha, you should probably include Ibanez Artist? Although I sort of regard those as double cutaway LP style guitars and not SGs, because they don't feel like flimsy neckdivey toys. 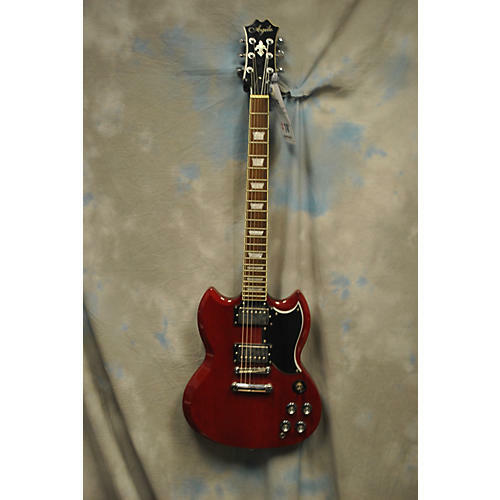 Gibson SG Standard 2013 or SG Classic, if you can find one. 61 Reissue SGs are amazing (which is why I listed the 2013, same specs). Epiphones don't feel the same at all. Have tried plenty of lookalikes, but nothing beats the original Gibson. Neck drop is mostly a meme. A leather strap fixes it, if there's even any in the first place. The nitro finish smells amazing. I love my Yamaha SG200 but it is more of its own beast than a Gibson-alike tbh. Kind of Les Paul-y but not quite. If I was specifically looking for an SG then I wouldn't bother because I don't think it even looks similar enough to scratch that particular itch. Had a few Gibson's, Epiphones and Yamahas. 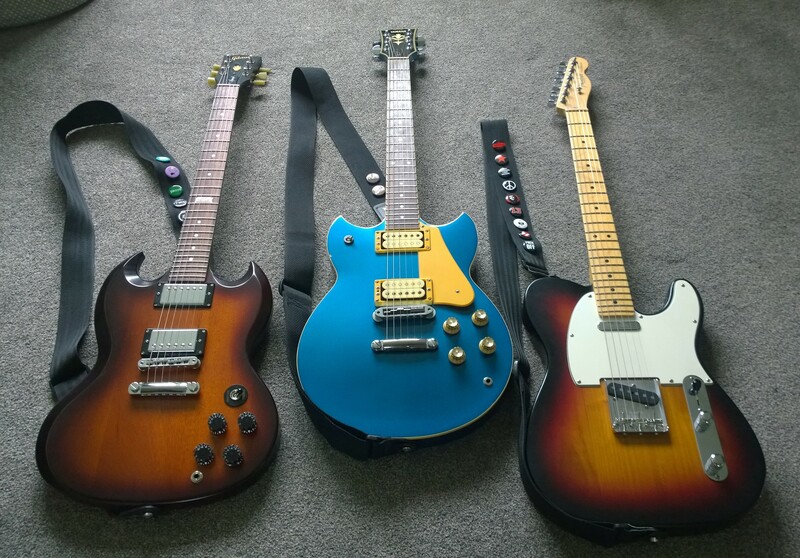 The Yamaha were the best value for money but if you want to get purist about it (like I did), you may as well go the whole way and buy a Gibson. An Epiphone G400 will more than see you through but you'll still end up wanting the real thing. The problem is which model? Some of the Specials are garbage and I've heard some bad reports on the newer standards. Like Strats, I'd say try before you buy. The Gibson 60s Tribute SG I had was great. I don't think you'll find a better SG for the money (�200-300 used). I traded a Squier Jazzmaster for mine. I only got rid of it to get my 79 Strat. I would buy another one in a heartbeat. I hate SGs, but if I had to pick one, I'd choose a Kalamazoo. That SG800 looks lush Dezb. I've always liked the Guild S-100 Polara. Especially in white. I have three Gibson USA SG's and two Epiphone China SG's. I prefer the pickups on the USA's, but I'm quite proud of and pleased with the Chinese guitars as well. Saw a 60s reissue sg at a guitar center for 800 in the used section, almost walked out with it. Love SGs. The comfort is unreal, such a sculpted guitar that sounds so good clean or distorted. One day I'll have one. That's on my to get list to complete the trilogy. Aye t'is a peach of a guitar was the only bidder on it on the evilbay a couple of years ago replaced a lesser yamaha sg I stupidly sold in my youth... this one will not be for sale again in my lifetime. Only seen one like it.